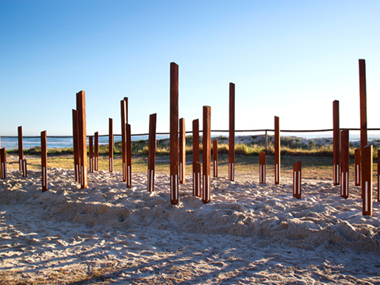 Swell Sculpture Festival invites submissions from artists to exhibit in the 2010 exhibition. This is an opportunity to exhibit in a highly regarded exhibition set within a visually stimulating, expansive coastal landscape. Swell Sculpture Festival supports full freedom of expression for all forms of sculpture and encourages submissions. The curatorial panel includes Queensland Government Architect Philip Follent and Donna Marcus, renowned artist and senior lecturer at the Queensland College of Art, Griffith University.